UCSB geochemist uses helium and lead isotopes to obtain a better understanding of the makeup of the planet’s deep interior. A geochemist, from UC Santa Barbara, has been studying Samoan volcanoes and discovered evidence of the planet’s early formation is still trapped inside the earth. Known as hotspots, volcanic island chains such as Samoa can be ancient primordial signatures from the early solar system that have survived billions of years. Matthew Jackson, an associate professor in UCSB’s Department of Earth Science, and colleagues used high-precision lead and helium isotope measurements to untangle the chemical the chemical composition and geometry of the deep mantle plume feeding Samoa’s volcanoes. Their findings were published yesterday in the journal Nature. Volcanoes are usually located at the point where two tectonic places meet and are created when those plates collide or diverge. 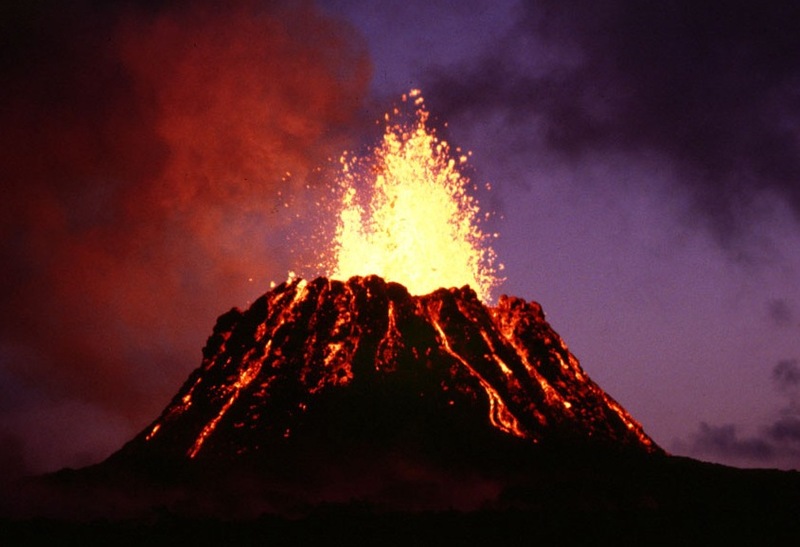 Hotspot volcanoes are an exception as they are not located at plate boundaries, but instead represent the anomalous melting in the interior of the plates. Such intraplate volcanoes form above a plume-fed hotspot where the Earth’s mantle is melting. The plate moves over time- at about the same rate that human fingernails grow (3 inches a year)- and eventually the volcano moves from the hotspot and becomes extinct. A new volcano forms in its place over the hotspot and process repeats itself until a string of volcanoes evolves. Due to the volcanic composition of parallel Hawaiian trends being fundamentally different, Jackson and his team made the decision to look for evidence in other hotspots. In Samoa, they found three volcanic trends exhibiting three different chemical configurations as well as a fourth group of a late-stage eruption on top of the third trend of volcanoes. These different groups demonstrate distinct compositions. “Our goal was to figure out how we could use this distribution of volcano compositions at the surface to reverse-engineer how these components are distributed inside this upwelling mountain plume at depth,” Jackson said. Each of the four distinct geochemical compositions, or endmembers, that the scientists identified in Samoan lavas contained low Helium-3 (He-3) and Helium-4 (He-4) ratios. The startling discovery was that they all showed evidence for mixing a fifth, rare primordial component consisting of high levels of He-3 and He-4. This unique isotope topology unveiled by the researchers’ analysis indicates that the four low-helium endmembers do not mix efficiently with one author. However, each of them mixes with the high He-3 and He-4 component. Co-authors of the paper include Stanley R. Hart, Jerzy S. Blustajn and Mark D. Kurz from the Woods Hole Oceanographic Institution, Jasper G. Konter from the University of Hawaii and Kenneth A. Farley from the California Institute of Technology. The research was funded by the National Science Foundation.